Blythe Group was formed in 1996 (formerly known as Blythe Design) and rebranded to encompass all of the services they offer. They are a full-service architecture firm, which means they handle conceptual design and programming, architecture, interior design and project management services. Blythe is a team of 8, which is one of the largest firms on the Western Slope of Colorado. Everyone on staff has a passion for creating unique, amazing projects, but they also strive to learn about their client’s wants and needs to enhance and customize each design to the user’s specific needs. 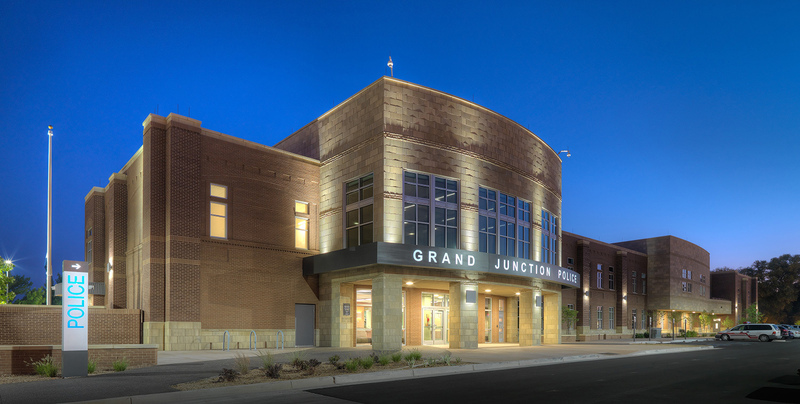 Two of the most exciting projects Vice President, Peter Icenogle has worked on recently, were the R5 High School in Grand Junction and the Grand Junction Police Station. 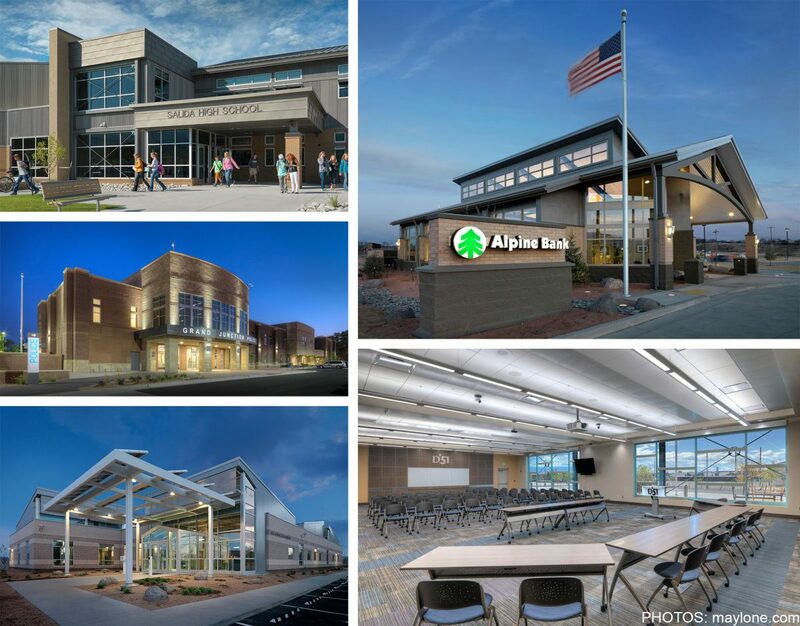 The High School was a very smooth project, which was a fun change and Blythe had a great team to collaborate with on completing the project. Peter added it is “always great to work with School District 51.” The Police station was exciting in an entirely different way. Some of the spaces within the station were unlike anything else Blythe Group has worked on because of the use. For example, the regional 911 communication center is exceptional, as it dispatches for 9 law enforcement and 12 fire/EMS agencies in Mesa County. Putting the pieces together to make the area a cohesive work environment for services that benefit all of Mesa County was a challenge the team at Blythe Group looked forward to tackling and successfully completing. 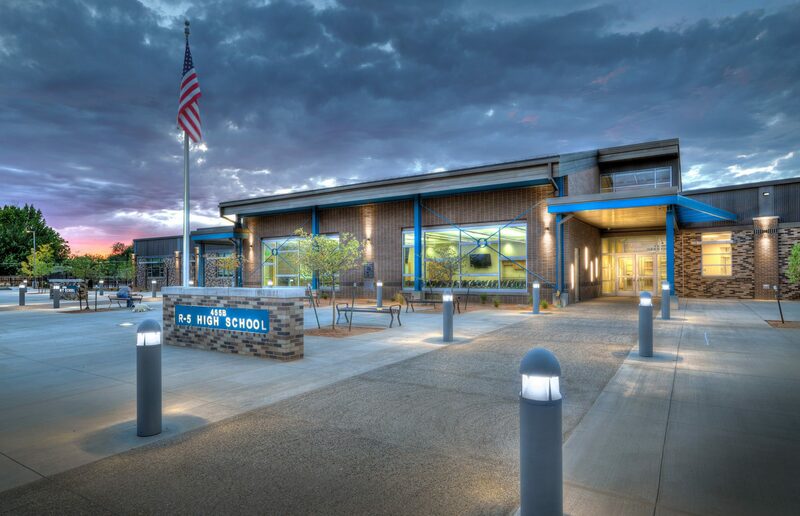 A current project filling much of their time is the soon to be built Columbine Middle School in Montrose, Colorado. As Montrose County School District RE-1J has made a push toward a STEM (Science, Technology, Engineering, and Mathematics) curriculum, the spaces built need to be multi-purpose. They need to be flexible enough to incorporate new technologies, flexible classroom sizes, and environments that encourage blended learning. In addition to these guidelines, staff at Blythe Group are taking into account what the teachers are looking for in their classrooms. They are interviewing them to ensure all ideas are heard and incorporated (if possible) into the spaces. Reaching out to staff is the extra mile the team at Blythe always incorporate into each of their design ideas; listening and caring about what the areas will be used for and what their client is looking for. 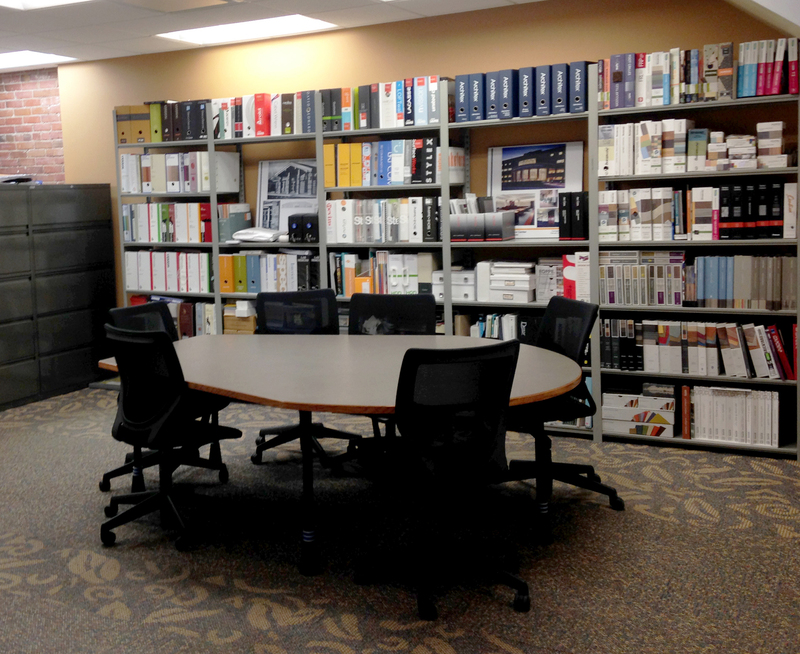 With such a heavy reliance on technology to create and store drawings, Blythe Group had a need for a new technology firm when their former consultant retired. They interviewed a few different companies and decided Networks Unlimited would be the best choice for their needs, not to mention the convenience of having them next door! According to Mr. Icenogle, the transition from their previous consultant to Networks has been seamless. “We haven’t noticed anything different, which is a good thing!”. Blythe Group uses Networks’ Simple IT service, which includes all things for their computer system: anti-virus, patch management, email filters, installation labor, and more. Blythe Group also decided to add in the Secure IT service, which adds firewall protection to their IT network. 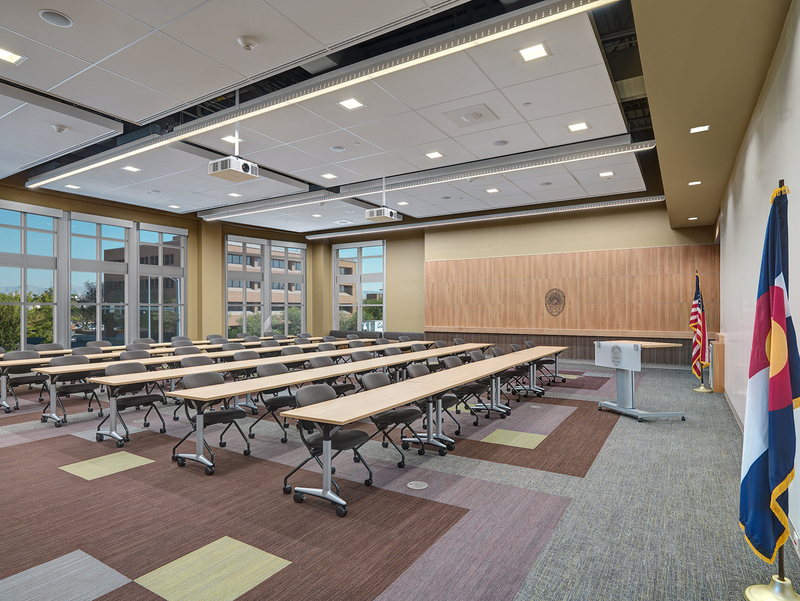 Networks Unlimited is proud to support a company that has similar values and looks to improve, listen, and creates the best space for each client.